Kingsmill, who is the telco’s director of consumer marketing, has been chair of the industry body since November 2012, and was acting chair nine months previously. She will continue as an AANA board member. Tapper is the managing director of global markets for Lion’s Beer, Cider and Wine business, and was promoted to the role in August after five years as its national marketing director. He has been deputy chair for the last three years. “I am inheriting a strong, united board thanks to Inese’s leadership,” he said in a statement. “The AANA is the peak national body for advertisers and together with Sunita [Gloster, CEO] and our members, we will continue to be highly active in promoting our core purpose of advertising self-regulation. The AANA said Andrea Martens, VP marketing and managing director for Unilever’s Home and Personal Care division has been elected as deputy chair, while its treasurer, Mark Reinke, group executive director for customer, data and marketing at Suncorp, remains in the role. Kingsmill pointed to work done on the AANA’s new strategic plan, which has seen it refreshed and re-energised as an association. 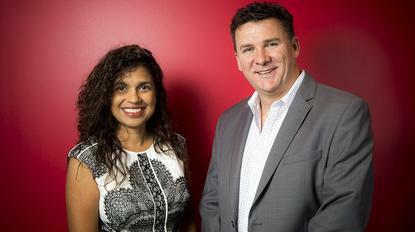 “The continuity that Matt provides will be a great resource to support our CEO, Sunita Gloster, who has led the transformation of the AANA into the dynamic organisation it is today,” she said.